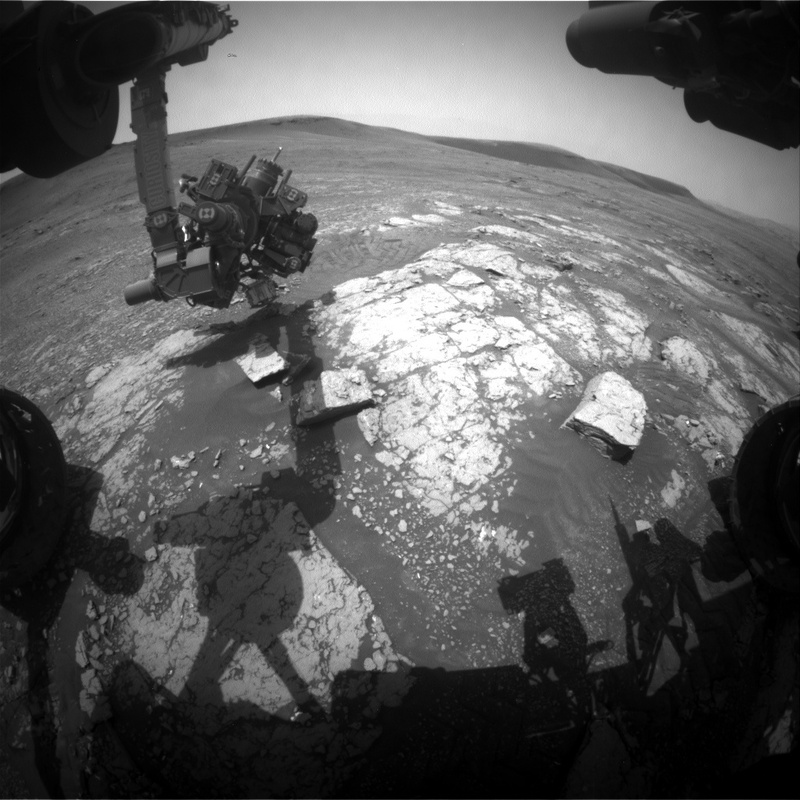 Curiosity is back to work after another hiatus due to a computer reset. These sorts of resets do happen from time to time for operating spacecraft and we're able to enjoy the benefit of two computers to operate the rover by switching to the other one when needed. As you'd expect, the view out of the front windshield hasn't changed much lately and the rover's arm is still poised over the bedrock target "Fife." We'll begin today's plan with an APXS integration on Fife before continuing to examine the nearby bedrock including a pebble called "Schiehallion." ChemCam and Mastcam will also both study some dune and ripple fields nearby called "Motherwell." Our atmospheric monitoring is also behind schedule so today we'll try to make up for lost time with three measurements of atmospheric opacity in these next two sols, two searches for dust devils, and a Mastcam sky survey where we examine the properties of dust particles suspended in the air.